The fascinating, little-known story of how two brilliant female physicists' groundbreaking discoveries led to the creation of the atomic bomb. 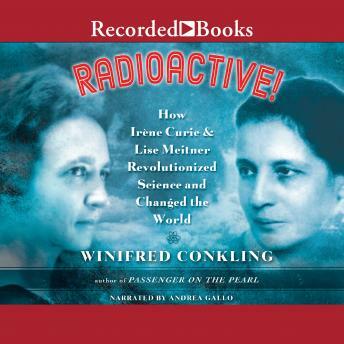 In 1934, IrEne Curie, working with her husband and fellow scientist, Frederic Joliot, made a discovery that would change the world: artificial radioactivity. This breakthrough allowed scientists to modify elements and create new ones by altering the structure of atoms. Curie shared a Nobel Prize with her husband for their work. But when she was nominated to the French Academy of Sciences, the academy denied her admission and voted to disqualify all women from membership. Four years later, Curie's breakthrough led physicist Lise Meitner to a brilliant leap of understanding that unlocked the secret of nuclear fission. Meitner's unique insight was critical to the revolution in science that led to nuclear energy and the race to build the atom bomb, yet her achievement was left unrecognized by the Nobel committee in favor of that of her male colleague. Radioactive! presents the story of two women breaking ground in a male-dominated field, scientists still largely unknown despite their crucial contributions to cutting-edge research, in a nonfiction narrative that reads with the suspense of a thriller. Photographs and sidebars illuminate and clarify the science in the book.